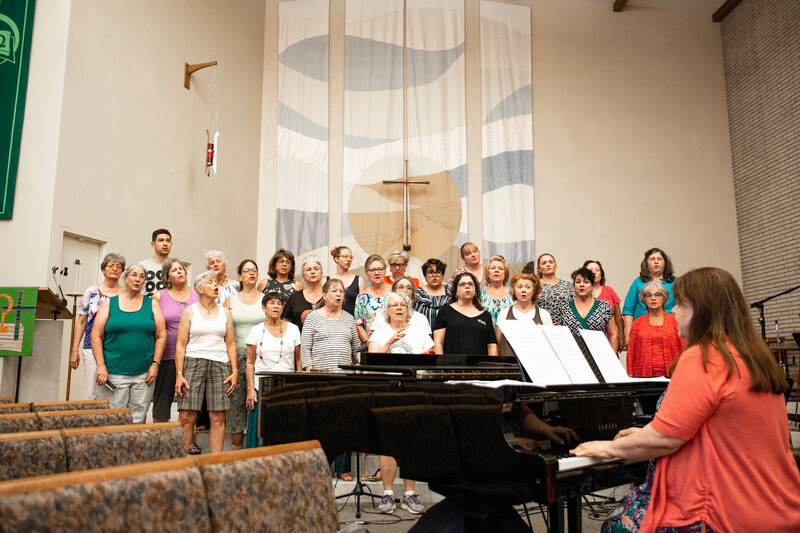 Sage Zbinden | The Banner | Pianist and music director, Jerri Mendivel, keeps the vocalists in line while she plays. With the increase in deadly mass shootings throughout the past decade, such as the Parkland shooting, and the Las Vegas shooting survivors, and other members of the public are holding a 10-day nationwide event called Concert Across America. 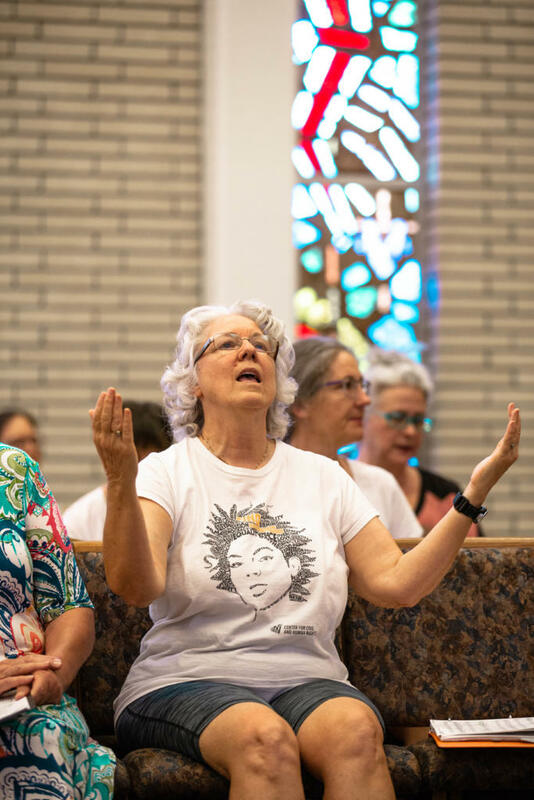 The Riverside Resistance Revival Chorus partnered with Riverside County’s chapter of the Brady Campaign Movement to End Gun Violence to take part in the event Sept. 23. The Brady Campaign is named after President Ronald Reagan’s press secretary, Jim Brady, who was shot and seriously injured during the assas- sination attempt on Reagan. Like many cities nationwide, the event will consist of a free concert and educational fair with booths such as the National Alliance on Mental Health, voter registration and Gluck, which is an arts out- reach booth created by the University of California, Riverside, among other activites. 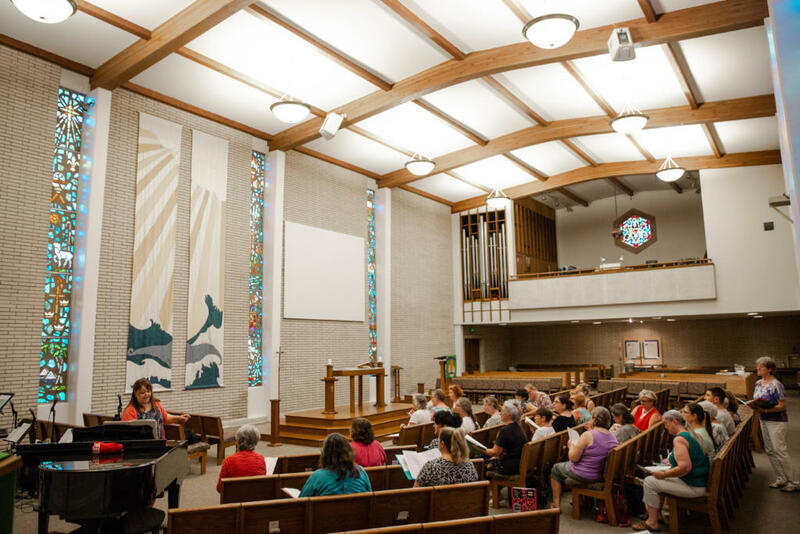 Kris Lovekin, member of the Revival chorus and one of the organizers for Riverside’s concert, said the purpose of the event is improving gun laws and educating the public on how they can be more vocal and proactive regardless of their political beliefs. According to the campaign’s official website, it has successfully advocated for a mandatory background check before purchasing a gun from a licensed dealer, a law that went into effect under President Bill Clinton. The organization is now working to pass a law that requires all gun transactions to go through a universal back-ground check. Nicolette Rohr, chairwoman for the Riverside chapter, said the campaign is actively working to change the culture around guns. Members of the California Baptist University community also are taking part in the conversation that revolves around gun violence. Ellen Davis, junior political science and international stud- ies double major and survivor of the Las Vegas shooting, calls for people to step up and help. Another part of the event is the Revival chorus, a musical group of women who sing their protests to inspire others through song. Other musical groups performing in the concert include the Ramona High School Show Choir and singer-songwriter Rocky Peter, among others. 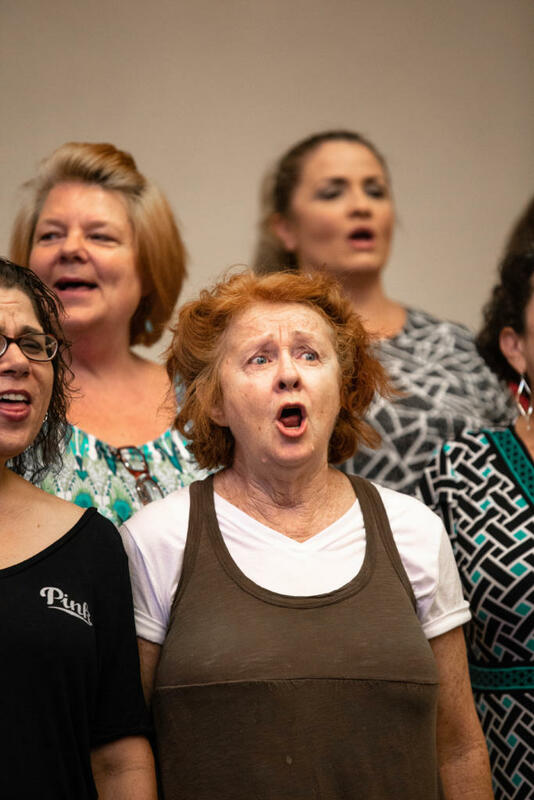 The event will take place at Ramona High School on Magnolia Avenue Sept. 23 at 3 p.m.
Pianist and music director, Jerri Mendivel, keeps the vocalists in line while she plays. 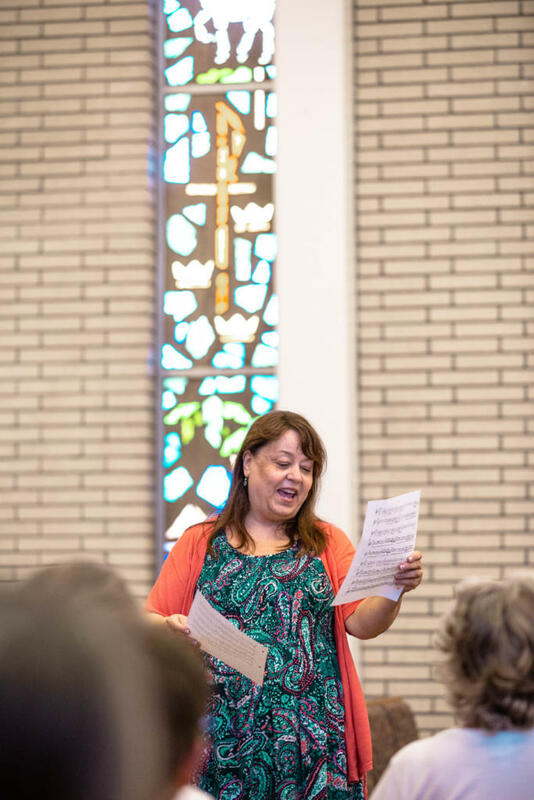 Jerri Mendivel, research compliance analyst at Lima Linda, happily revisits the segments of notes being sung by the harmonious choir. 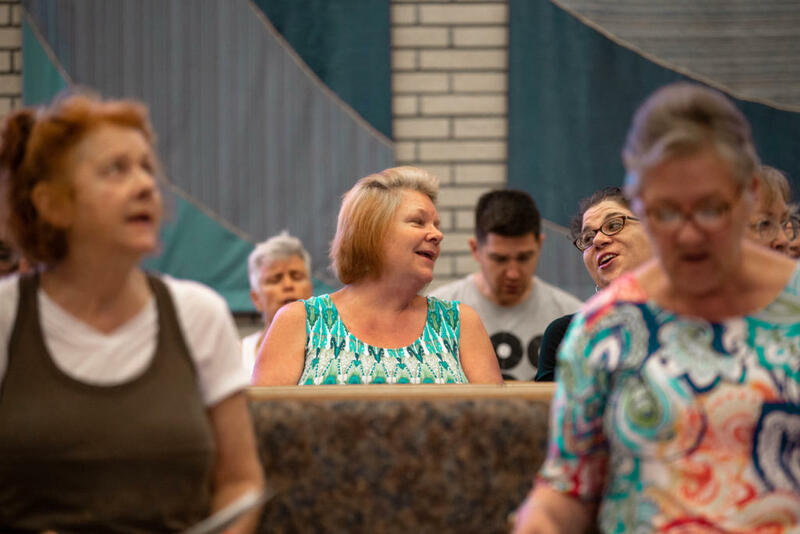 Vcky Ross, risk management user and Danielle Bitetti, both glance at each other simultaneously, while singing the lyrics in harmony. Tinka friend, retired special Ed teacher, practices her vocals and signs at the same time. Jerri Mendivel, research compliance analyst at Lima Linda, is extremely proud of the harmony being sung by the choir. 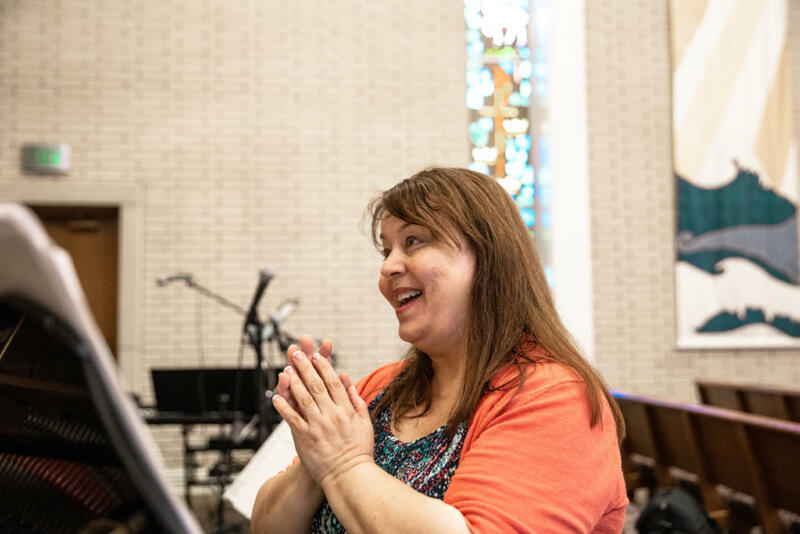 Pam Caesar, farmer, science teacher, and culinary student, projects and emphasizes her vocals and expressions during her rehearsals.